You will find that I have minimal kale salads on the site. It’s not that I don’t like them, it’s that I’m lazy. The whole process of massaging and letting kale sit with some lemon juice feels like too much of a process for a simple salad. By the time all of that happens, I could have made and eaten a salad that used easy greens. However, I’m slowly coming around (it’s only taken me six years), primarily because kale is one of the better/heartier summer green. This salad pretty much the epitome of summer: fresh tomatoes, cucumbers, and peppers tossed with a grain, herbs, and a bit of dressing. No cooking involved (minus a roasted red pepper, which I usually have on hand). A perfect lunch for a hot day or picnic! 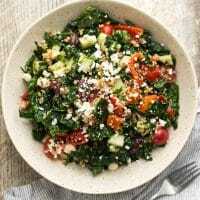 A perfect summer kale salad featuring fresh summer greens, softened kale, and salty olives. Place the kale in a bowl along and massage for a minute or so to soften the kale. Then add 1 tablespoon of lemon juice and let sit while chopping the remaining ingredients. Slice the grape tomatoes in half, dice the cucumbers, and mince the roasted red peppers and scallions. Place in the bowl with the kale then slice the olives in half and add to the bowl. Measure in the feta, parsley and bulgur. In a small bowl, whisk together the olive oil, remaining tablespoon of lemon juice, salt, and pepper. Pour over the salad and toss until well combined. Tips & Tricks: Don’t skimp on time with the kale and lemon- it really helps to soften the kale which makes for a better salad! 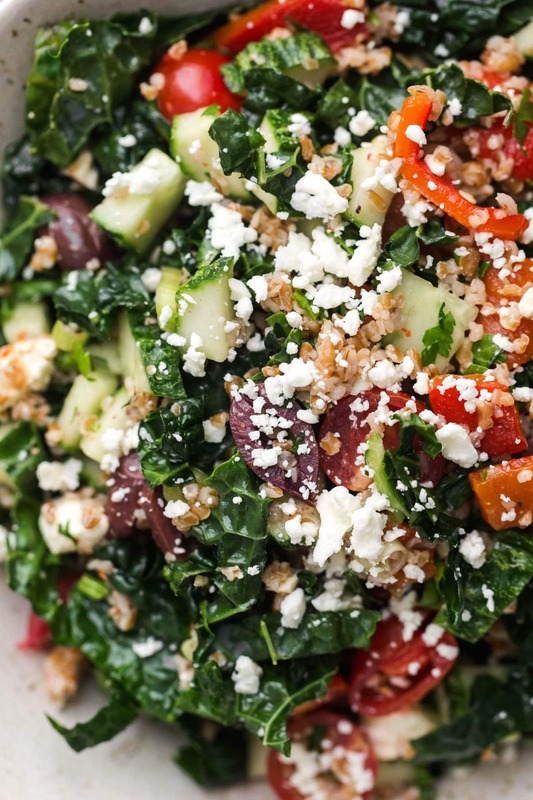 This kale salad is usually straight forward, as written above. However, there’s a few small changes that I make that work well to keep the overall flavor of the salad the same. Artichokes: Artichokes make a lovely addition to this salad, whether you’re grilling/roasting fresh artichokes or using prepared artichoke hearts. Roasted Tomatoes: I’ve found that on occasion, it’s really worth turning on your oven to roast tomatoes. The flavor of the tomato is really enhanced by the heat. 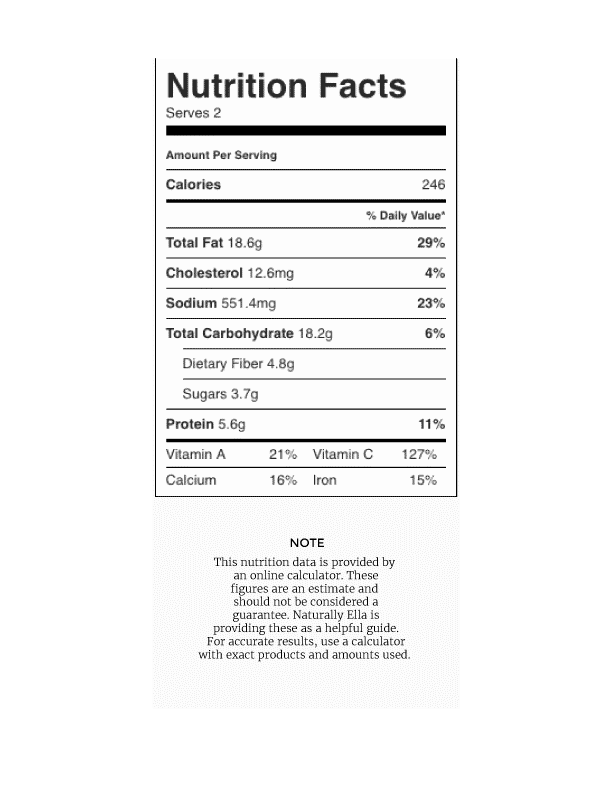 Greens: Feeling lazy like I usually am? Spinach or arugula is a solid choice in place of the kale or mix and match your favorite greens together. 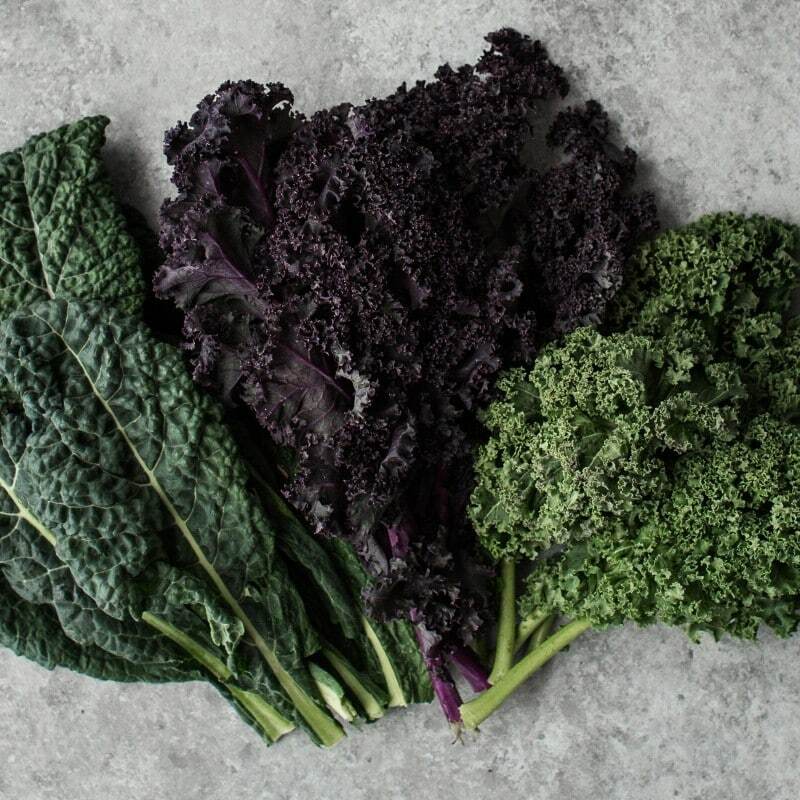 I don’t use nearly enough kale in my cooking – it’s so healthy! But I’d love to try this salad. I’ve never tried massaging foods… Haha! We tried it yesterday. It was very easy to make and so delicious. Hey, I am very fond of salads. And this recipe seems very refreshing. I will definitely try it out. Thanks for sharing. 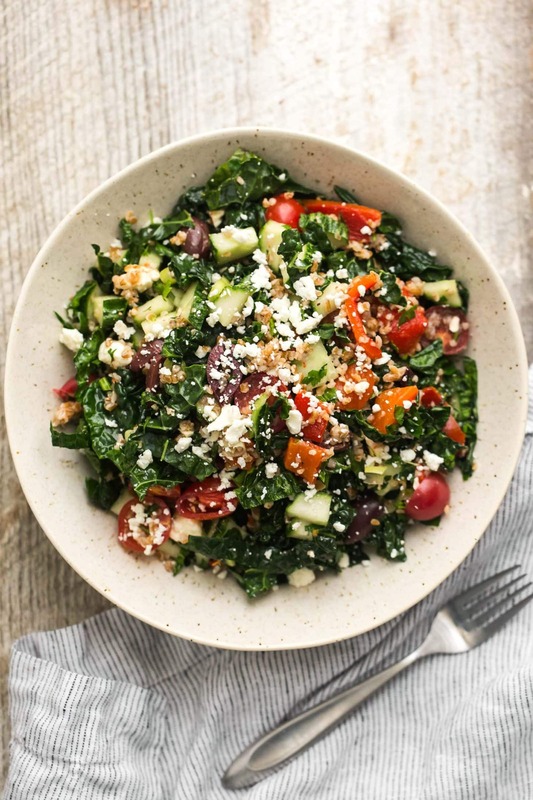 Thank you for sharing such a useful recipe for a Mediterranean kale salad which is the perfect lunch for a hot day picnic as it has all the healthier ingredients and deliciousness too. It is definitely worth a try. Erin, this was such a delight last night. Our kale was dying for a nice salad like this, and it complimented the summer evening perfectly. Thank you! I had to get comfortable with using lots of kale in everything because it produces so well in my garden we always have tons. Making this tonight with cauliflower in place of the bulgar. Thanks for the ideas!